in the US on AT&T and T-Mobile (without 3G). 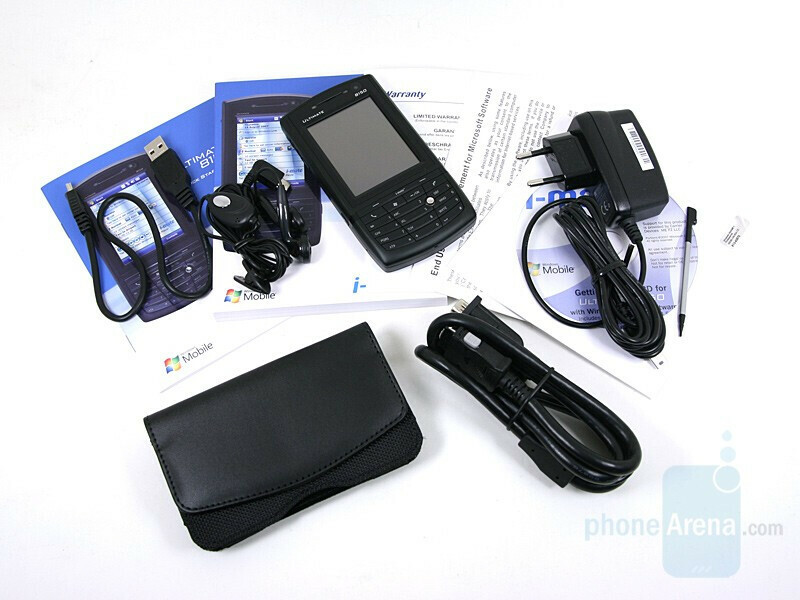 Not until long ago, the Windows Mobile devices were considered useful just for work only. Only in the past year, they started offering better entertainment features. 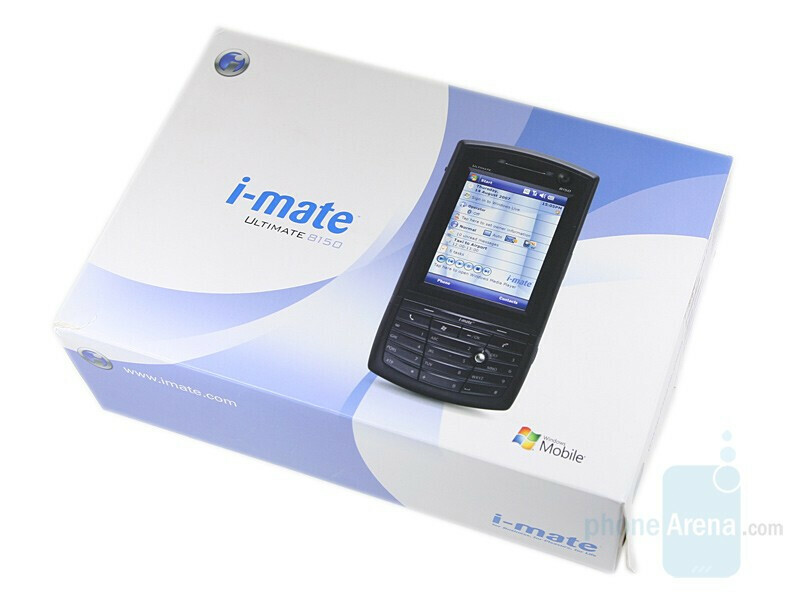 The models from i-mate’s Ultimate series fall in the group of the old devices, targeting the prosumers. In this review we will discuss 8150, which is a brother of 6150 with the main difference being the presence of a hardware keyboard in the first one. 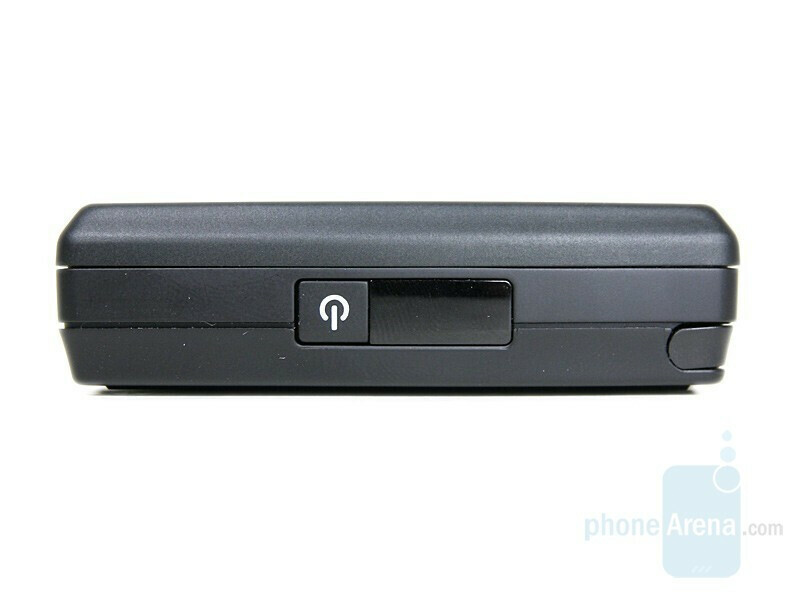 The key feature of these two phones is to enable you to connect to a monitor/projector and have PowerPoint presentations without the need of a laptop or a PC. This is made possible by the VGA cable slot. Since the model has functions and interface identical to the ones of i-mate 6150, in this review, we will only discuss its appearance and performance.For the detailed information, you can find it in the 6150's review. 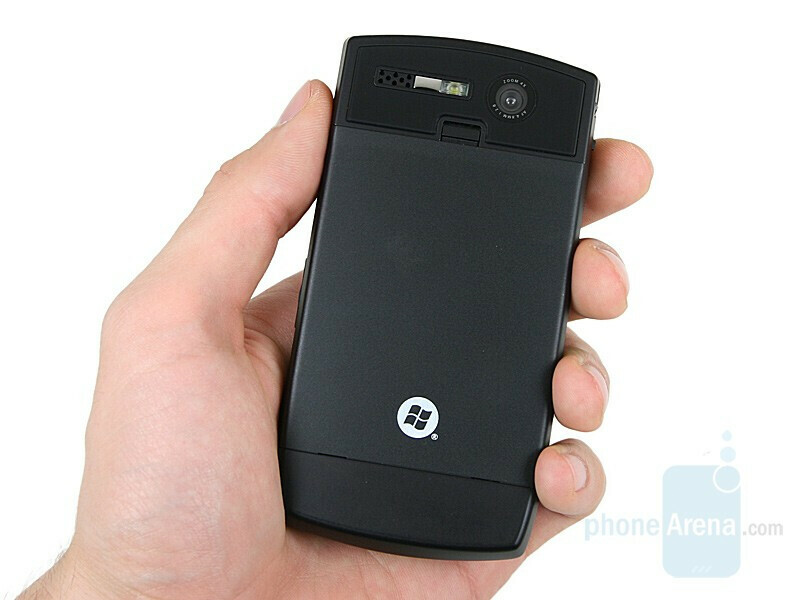 The shape and the size of the phone are the same as of 6150 or in other words, it is massive and unattractive. Actually, there are only two differences between them. Firstly, the touch display is smaller (2.6“), but still has a VGA resolution and offers better-saturated and clear colors. Unfortunately, its also that hard to use in direct sunlight. 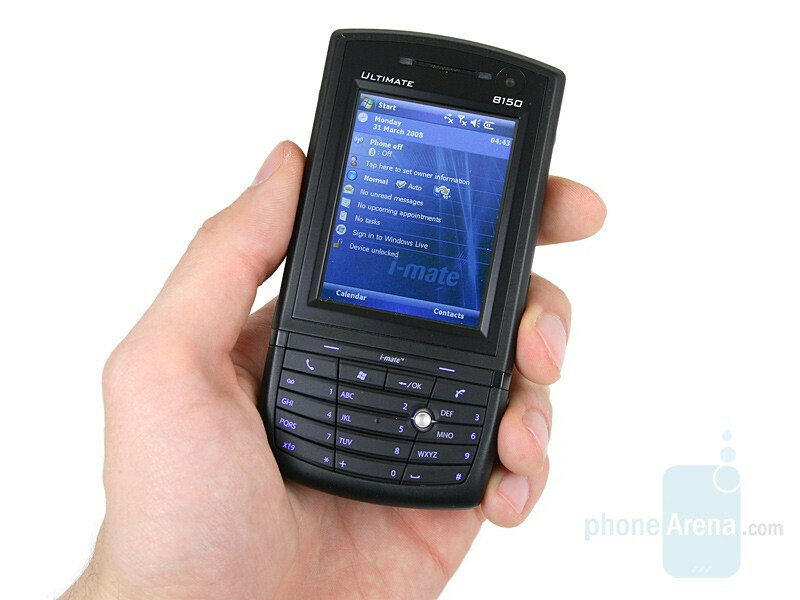 You can compare the i-mate Ultimate 8150 with many other phones using our Size Visualization Tool. 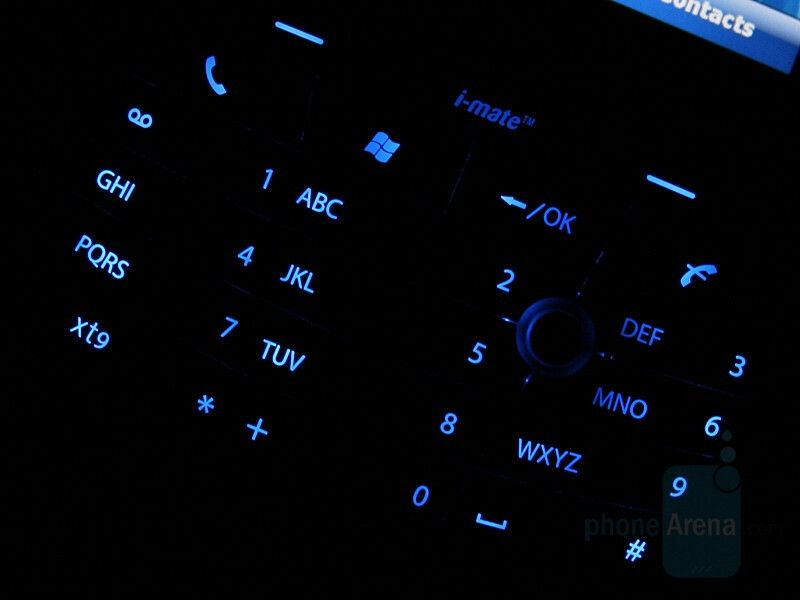 The second difference is the presence of a numeric keypad. Its buttons and the navigational ones as well are large but without a clearly expressed relief, which makes them hard to use. Besides, they are back lit in a very intrusive and tiring the eyes blue color. The joystick almost doesn’t stick out above the other buttons and is extremely inconvenient. 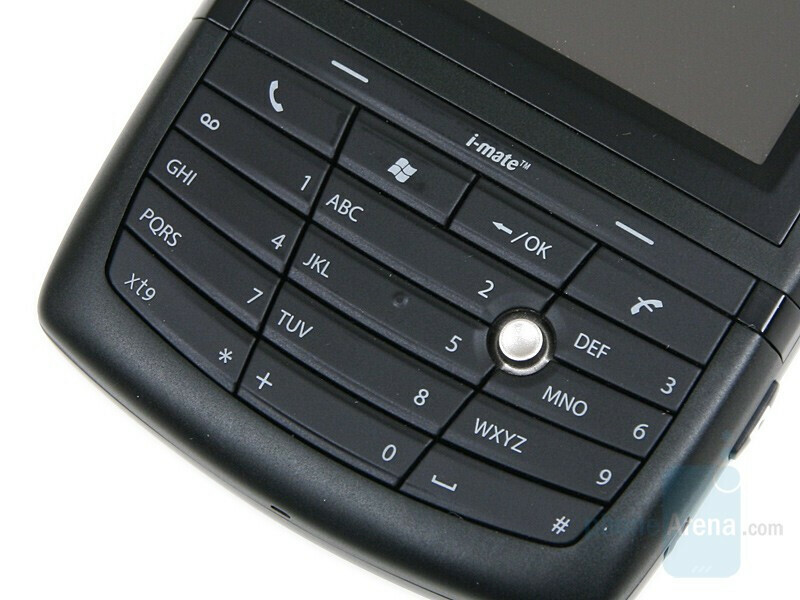 On the left side, we see the 3-way button-wheel, which is easier to use and is our preferred method of navigation. This side houses also OK button, which in contrast to its twin located on the front panel is activated when pressed once, cannot be used as “delete” and is hard to push. 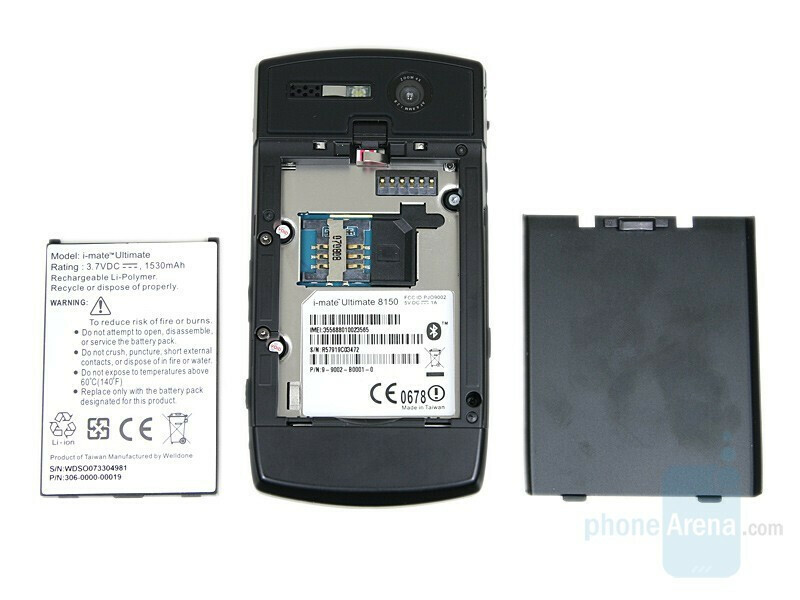 Also here, we see the microSD slot, the shortcut to the Wireless manager and below them, the hardware restart button, accessible only with a stylus. 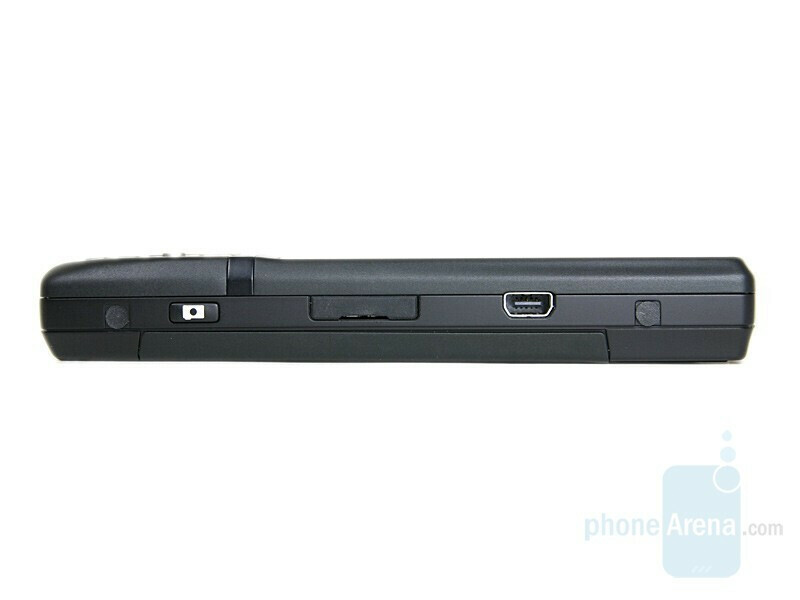 On the opposite side is located the VGA cable slot, used for a monitor or projector connection. It is protected with a rubber cap, which is very hard to open. Next to it are the miniUSB connector and the small, hard to press camera key. Overall, the appearance of i-mate 8150 will hardly attract attention, which is sad, because we’ve already seen a few very good looking Windows Mobile solutions on the market. I bought the IMate for a ton of money and sold it for nothing within because a few months because this is a total failure. The middle esatern owners will be sorely disappointed by what they have created. The phone is unstable, very slow, if you drop it, it is done, has poor reception, etc. Together with its heavy weight and ugly looks, there are NO redeeming qualities. Do not buy this piece of junk.